Vinyl provides enduring beauty and design flexibility. Using a variety of siding and soffit styles, colors, accessories and trim, you can update a Ranch, add character to a Colonial or even recreate a Victorian. Moreover, you can select siding that will be consistent with your home’s design and fit into the environment and neighboring homes. We offer vinyl siding by CertainTeed, Crane and Variform as well as fiber cement siding by CertainTeed and James Hardie. Vinyl is now the number one siding material available and for good reason: Nothing beats vinyl siding, accessories and trim for sheer endurance. Unlike many other siding materials, vinyl is impervious to rain, cold, salt and snow. Vinyl won’t rot, peel, dent or show scratches, nor will it ever need painting. A simple soap-and-water rinse once a year is all that’s required to remove dirt and maintain the look of freshly painted wood. Vinyl siding is a great investment. Residing a home is among the top ten remodeling projects in terms of overall payback. If you re-side with vinyl, you can often recoup 100% or more of your investment. As North America’s largest manufacturer of vinyl building products, CertainTeed Corporation is the most trusted name in the industry. Decorative trim system provides the look of wood to windows, doors, corners, gables, and frieze boards. 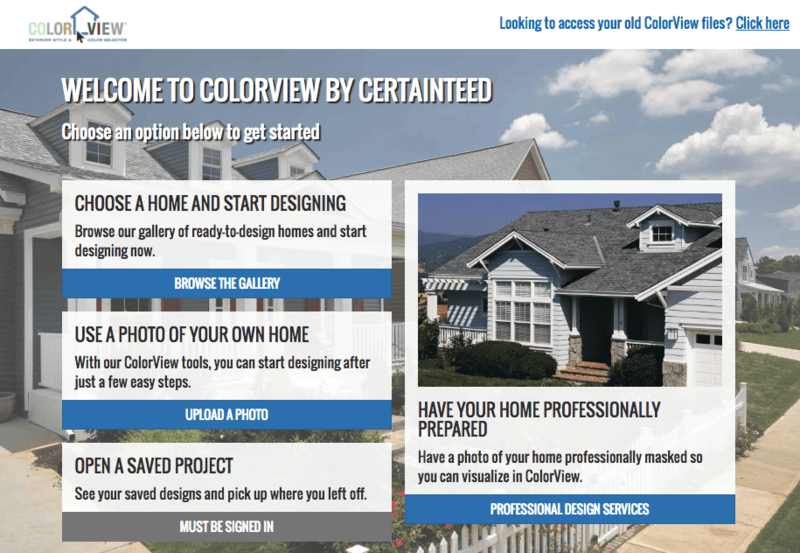 Try CertainTeed ColorView to see different colors and finishes on your home before you order.